Informing your users about you posting a new picture of your cat, or your new product finally going on sale, is a cumbersome task seldom dealt with ease. 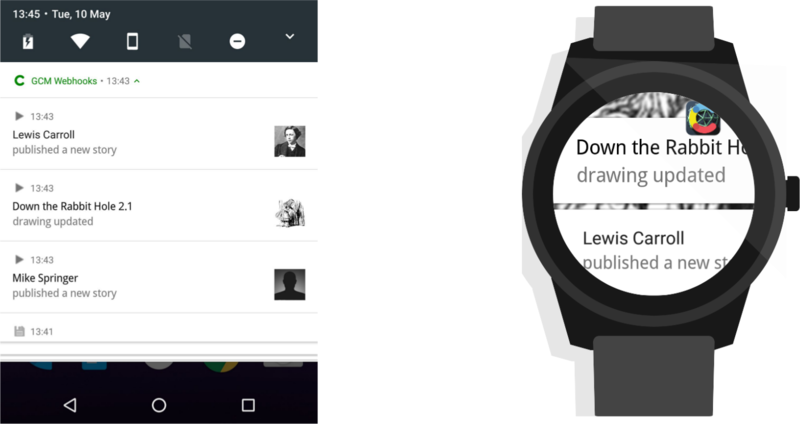 Let's take a look at building an Android app that automatically notifies users about the changes of your content. This series consists of two posts: the first one (the one you are reading right now) will cover building Android N notifications, including how to stack multiple notifications on top of each other in so-called Bundled Notifications, and how to add images, texts and colors to customize them. The second post will cover how to get the data to fill these notifications. In an attempt to introduce you to the webhooks in Contentful, we will quickly go through the setup and configuration of a content space and explain how to use Heroku to transform those webhooks into data which are readable by the Google Cloud Messaging service — to send them to your phone afterwards. For now let's see how four fellow imaginary friends are using and implementing bundled notifications on Android N.
Let us assume (by maybe following the second post) we have a blog space on Contentful, full of stories we and our co-authors wrote, pictures of our cats and, last but not least, all the content we need. Lewis, one of our imaginary authors, just finished his story about a rabbit hole, publishes it, and hopes everyone will read it. Our reader and imaginary friend Mary sees a notification on her phone and wearable. It is telling her about Lewis's new and wonderful story, encouraging her to read it on her phone. Let's follow Ada, our imaginary developer, to see how to implement all of the above. She already has a Google Cloud Messaging (GCM) connection established (either by sheer awesomeness, or by reading our upcoming post), and we only need to follow her to see how to use Notifications on Android. First of all we notice that she has the Android 'N' preview on her phone (or an emulator) and the Android Studio installed. We should probably do the same. Now she can use the NotificationManager to build notifications. Mary will be able to see three kind of notifications: 1) a header notification, to summarize stacks of notifications, 2) a notification with an external image (of the author's face, maybe Lewis'? ), and 3) a simple notification without any image to be downloaded. 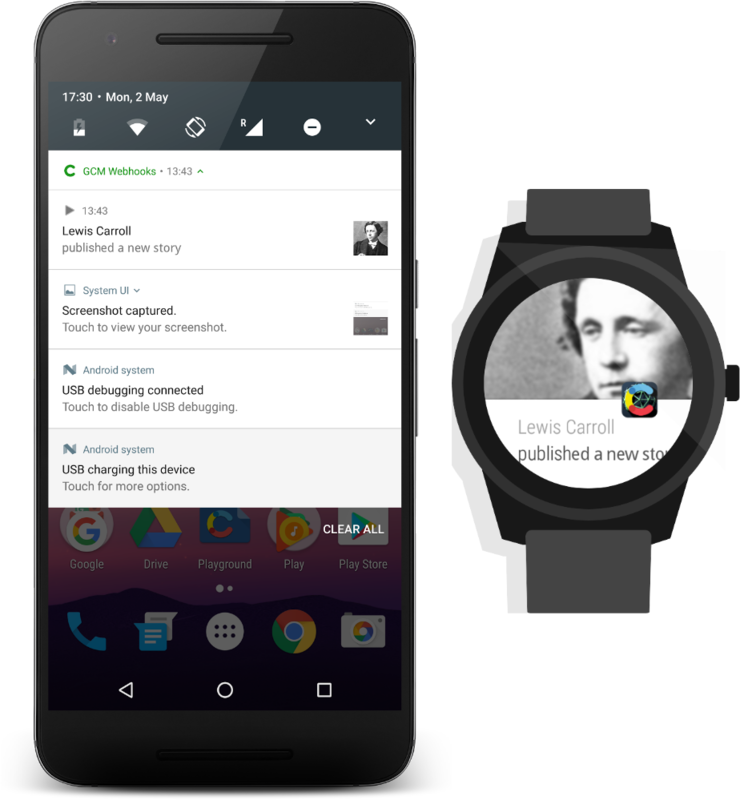 The Header notification consists of a logo (here the 'C', which should only have white and transparent colors), the tint (green in this case), a text to be displayed, and the time. 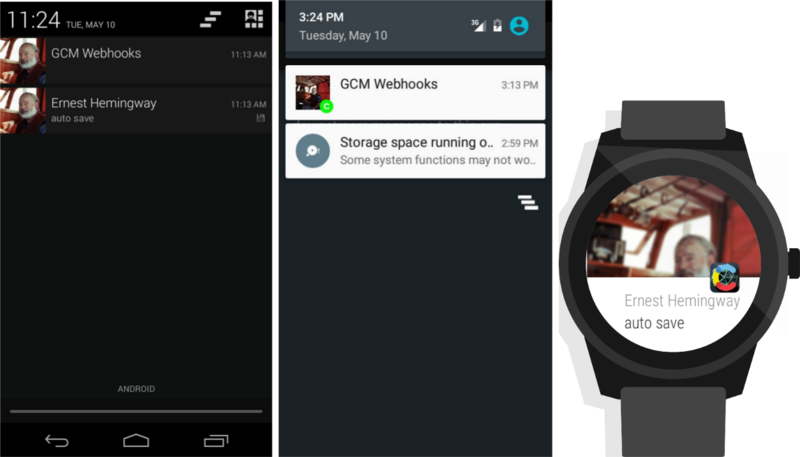 Android sets the time automatically — the rest Ada needs to provide manually. For a general style guide, please take a look at the design specification. Now, if she starts the app, it will generate a notification without any content or interaction capabilities. She'll need to change that to add some actual notifications. final int icon = // retrieve icon somehow, based on action, maybe? .setContentIntent(pendingIntent) // what happens if you touch the notification? By calling the sendNotification(...) method from above in onCreate(), for example, she creates two new notifications: one for the header, and one for the simple content — to be able to touch it. This way she just implemented the first interaction with notifications. // use same builder as for the simple notification, but add a large image. Today we followed Lewis, Steve, Mary and Ada through their adventures of showing and seeing the notifications on Android. They interacted with Contentful, triggering different notifications, and we followed Ada's journey of developing the Notification part. Tell us what other adventures you would like to read about, and which notifications you would like them to use. Java Workflows Developer at Contentful with a passion for parrots and pirates. You can follow him on Twitter and on GitHub.